ChildChild age: 5-11 years. Under 5 ride free. 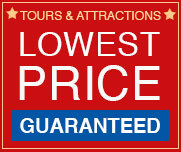 Join this tour in exploring these culturally diverse and beautiful cities with the Deluxe City Tour. 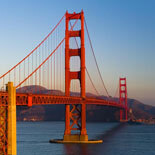 See Muir Woods, Sausalito and San Francisco in a day! North, across the Golden Gate Bridge, lay two of California's most unique tourist attractions: Muir Woods and Sausalito. Marin County, one of the most affluent counties in the U.S., is home to Muir Woods - one of the few remaining groves of virgin Coastal Redwoods. 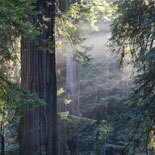 Muir Woods is the home of redwoods that are among the tallest and oldest trees in existence. The "Nature Trail" at Muir Woods leads you to the heart of its cathedral-like grove. Then, experience Sausalito, an alluring village of art galleries, quaint shops and waterfront restaurants where you can see San Francisco from across the bay. 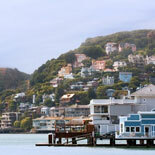 Sausalito's cliff-hanging cottages and houseboat community lend a Mediterranean ambiance, but the locals you will meet are pure "California." See Muir Woods, Sausalito and San Francisco In A Day! Daily departures -9:00am. Closed Thanksgiving and Christmas Day. Main Departure Location-Union Square/Downtown San Francisco-478 Post St. (between Mason & Powell St) across the street from the Westin St. Francis Hotel. OR Shuttle from Fisherman's Wharf- 45 minutes earlier location-2800 Leavenworth in the Anchorage Square building at the Corner of Leavenworth & Jefferson St.
Child Ticket: 5 - 11 yrs. 4 yrs and under ride free. If staying outside of walking distance to 478 Post Street or Fisherman's Wharf location at 2800 Leavenworth arrangements need to be made in advance for hotel pick up. (Fisherman's Wharf picks up earlier). 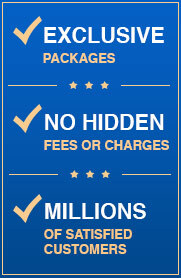 Your printable e-Ticket will contain all details.